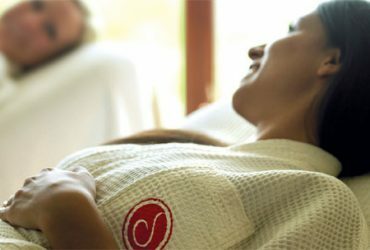 Dressing up the bride to be is a rite of passage for many soon to be brides, and as long as you get something the bride is comfortable with then it’s bound to help your hen party off to a great start. 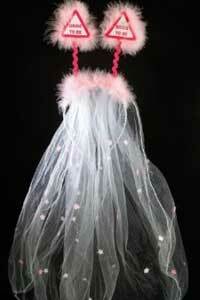 Yep, as far as cheesy goes this one is right up there – a full bridal veil with pink ‘Bride to be’ boppers on top! Definitely not one for the easily embarrassed. With an overall rating on 4 stars from 55 reviews this is a firm hen party favourite. This glitzy sash is bound to attract plenty of attention on your hen night – but we hope that’s the only thing that gets flashed on your night out. 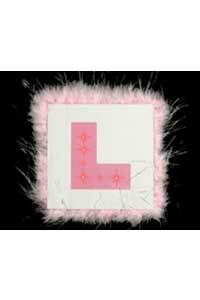 If you want to go all in with the flashing theme then combine the flashing sash above with this flashing L plate with pink fur trim. Measuring 18 x 17cm it can easily be attached to clothing. 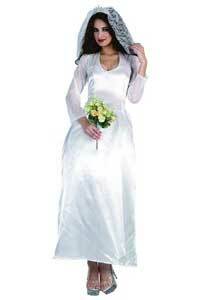 Get you Bride to be some practice in before the big day with this hilarious wedding dress. Available in sizes 10-14 with matching veil you’ll just need to provide your own bouquet to go with it. 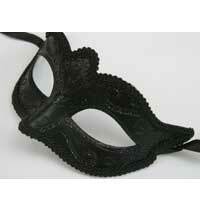 If you’re after something a little more refined then we can highly recommend this sophisticated masquerade ball mask. In black with pretty sparkling decoration it has a silk tie fastening, making it a great addition to the bedroom when the party is over..
Easy tiger! This cute set is a great option if you want your bride to dress up but don’t want it to be too embarrassing. 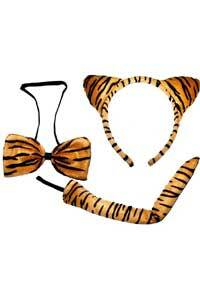 These accessories go great with a plain black cat suit (no joke intended) and are cheap enough to be ditched at any time during your hen do. 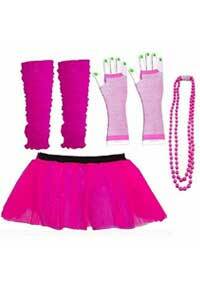 “Like a virgin, ooh” Or maybe not, we don’t know your bride, but if she’s an 80’s girl then relive your youth with this fab tutu and accessory set. You’ll need plenty of hairspray to get that classic Madonna look and don’t forget the little beauty spot to complete the look. 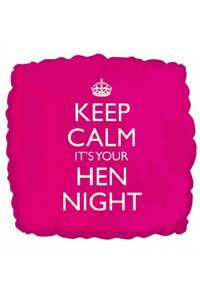 With twist on the classic war time phrase hanging above your head in bright pink your hen party will stand out in a crowd. This balloon is really great quality and can be given to your hen during the hen do or can be used as a classy venue decoration. 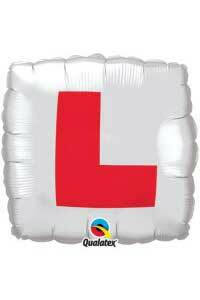 We really like this simple, slightly more upmarket balloon which can be attached to your bride for the evening. If it lasts all night then it can be deflated and kept as a nice little keepsake of the amazing party you just had. This one is worth looking on Amazon just to read the hilarious reviews that people have left ‘easy to pop up’ ‘Nice and large’ and rather bizarrely ‘I bought this for my mum..’. 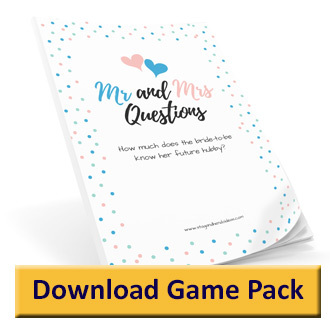 If your bride is up for a laugh then this is a great choice as it will get loads of attention and definitely make your hen party stand out from the crowd! !